Professor Andrew Anthony Adjei is the Director of Research, Office of Research, Innovation and Development (ORID). He is also a Professor of Immunology at the University of Ghana School of Medicine and Dentistry (UGSMD); Department of Pathology) and the School of Biomedical and Allied Health Sciences (SBAHS), University of Ghana College of Health Sciences, Legon; a former Deputy Provost of the College of Health Sciences at the same University, and a past President of the Ghana Association of Biomedical Laboratory Scientists. 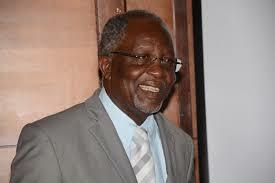 He is a Fellow of the African Sciences Institute and also a Fellow of the Ghana Academy of Arts and Sciences. He trained at the University of Cape Coast, Cape Coast, Ghana at the Medical Laboratory Sciences Department and undertook his postgraduate training in Clinical Immunology in Ryukyus University Medical School, Okinawa, Japan and School of Health Sciences Tucson Medical Center, Tucson, Arizona, U.S.A.